Some hail damage is easy to spot – like when it knocks holes in your pool screen, or dents the metal or lead boots on your roof. 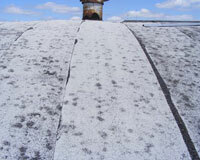 DEGRANULATION - But, just as significant for the integrity of the roof is hail damage that can only be seen close up. 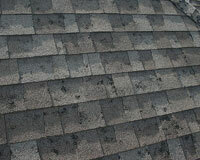 Often when hail hits a roof it causes what is known as “degranulation” of the shingles. Degranulation can only be seen on close inspection by someone who knows what they are looking for. When hail causes degranulation, the integrity of the shingle is compromised, and the serviceable life of the shingle is significantly shortened. 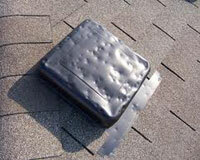 This warrants roof replacement under your homeowners insurance policy. If you are a homeowner that has recently been through a hailstorm and would like to inspect it for hail damage, the following quick guide will give you a basic understanding of what to look for. Inspect your roof promptly after a storm: Any storm or wind alone can damage a roof, so the sooner you inspect the roof after a storm, the better you can avoid leak damage inside the home. If an insurance claim for roof damage is warranted, you'll be able to provide better data to support your claim. Inspect your roof gutters and the ground: before and after a storm. If the gutters were clean and after the storm they are loaded with mineral granules you have strong evidence of roof wear and damage due to the hail storm. Free Inspection: If you spot a potential issue during your annual checkup or suspect any sort of wind or hail damage after a severe storm, you may always contact Curb Appeal Roofing Construction for a free roof inspection. Just call us at 405.601.9222. Our trained representative can discover if there is hidden damage. 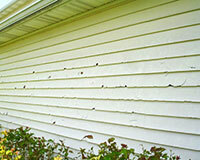 We can distinguish between hail damage from natural wear and hail damage from a storm. We'll also educate you on your findings. And, we'll make recommendations as to whether a repair is needed and/or call to the insurance company is necessary. Read on for more useful tips and information! If you were around during the hailstorm and have an idea of the size of hail that fell, it will give you a basis for what kind of roof hail damage to expect. Here's some examples of damage resulting from different sizes of hail. Less Than 1 Inch: When smaller than an inch (or about the size of a quarter) hail can inflict damage to asphalt roofing. 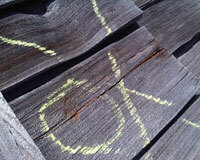 Most often though, this damage can be more difficult to identify. 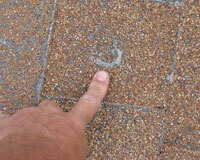 You may require the assistance of a trained roofing inspector to accurately identify any hail damage. 1 Inch – 2 Inch: If the hail size is between 1 and 2 inches (or between quarter and the size of an egg) hail damage should be more easily seen on the asphalt shingles themselves, as well as any soft metal on the roof. Greater Than 2 Inches: If any of the hail is greater than 2 inches, it will almost guarantee some level of hail damage to an asphalt roof. If this has happened to your property, contact your preferred roofing or construction contractor for a full assessment of damages. Notify your insurance company. 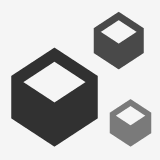 Soft Metal: First, search for damage to any soft metal on the roof. 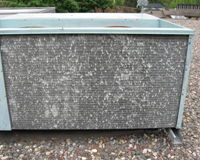 Check roof vents, skylights, flashing, metal valleys, gutters and any other soft metal on the roof. 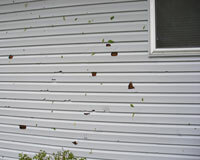 Soft metal damage will not only show signs of hail, but also indicate the size of the hail that damaged the roof. Ridges: The very peak of a ridge (or ridge cap) will take a hail hit directly, as opposed to the glancing blows on the main pitched roof slopes. Also - due to their location, ridges are more susceptible to damaging hail hits, regardless of the direction from which the hailstorm came. 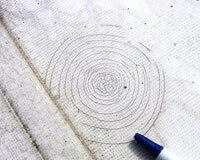 It's a good idea to inspect your roof at least annually. We recommend you do it before and after the severe weather seasons in Oklahoma. In this way, you can find and fix damage before it becomes a more costly leak.